Union Minister for Water Resources, River Development and Ganga Rejuvenation Shri Nitin Gadkari today expressed his satisfaction over the positive feedback being received for Clean Ganga Mission and assured the people of the country that their dream of rejuvenated Ganga will soon be fulfilled. He said that with the support of all stakeholders, the work on Clean Ganga Mission is going on war footing and the hard work of all stakeholders has started to show visible results on ground. “The government has freed Kanpur from the ill effects of Sisamau drain after 128 years, which was infamous for the pollution it was causing to River Ganga,” Gadkari said, adding, “140 MLD of waste water has been stopped from flowing into River Ganga.” Shri Gadkari was speaking at the three-day long India Water Impact Summit 2018 (5th to 7th December 2018) being organized at Vigyan Bhawan, New Delhi. Six reports prepared by Ganga were released on the occasion regarding flow regimes and Ganga River Basin Management Plan of five main stem Ganga basin states. Green Ganga App, developed by Remote Sensing Centre of ISRO was also launched during the occasion. Green Ganga App is used for geo-tagging of saplings and delineation of plantation boundaries under ongoing afforestation activities of Namami Gange programme. The touch-enabled information kiosk about Namami Gange programme, developed jointly by NMCG and ISRO, was also launched. Shri Gadkari said that since inception of Ganga cleaning programme (1985) till 2014, central government had spent less than Rs. 4000 crore. 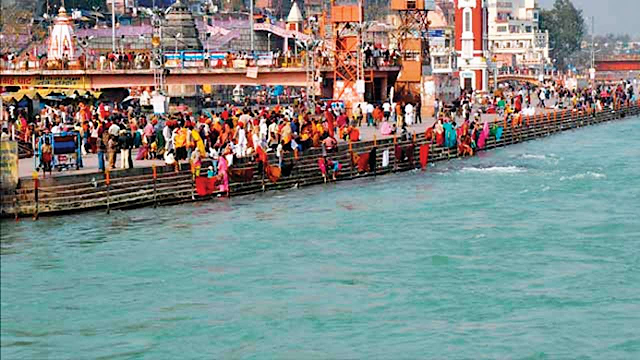 With the launch of Namami Gange programme, provision of Rs. 20,000 crore have been made for 5 years. 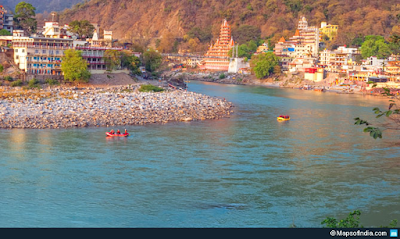 So far, National Mission for Clean Ganga (NMCG) has sanctioned 254 projects for more than Rs 24,000 crore and has spent about Rs. 5,000 crore in the last 4 years. He said that not only has the pace of expenditure increased manifold, results are visible on the ground as well. “Out of these 254 projects, 133 are for sewerage management, 11 bioremediation, one modular STP, 1 rural sanitation, 64 ghat and crematoria, 6 bio-diversity and 16 afforestation projects,” Shri Gadkari informed the gathering. He added that 133 sewerage infrastructure projects costing Rs. 19,789 crore will create 3969 MLD of sewage treatment capacity and lay down 4871 kilometer of sewerage network. Shri Gadkari also mentioned that the Aviralta of River Ganga has also been given importance and to ensure that required level of ecological flow is always maintained, a notification has already been published in October. Following this a meeting has been held with all state Chief Secretaries asking them to implement the e flow notification. Shri Gadkari also talked about the success story of Hybrid Annuity mode (HAM) in sewage water sector and One-City-One-Operator for integrating the development of new STPs with the existing treatment infrastructure under HAM. Linking the problem of Ganga Cleaning with over-extraction of groundwater, Secretary, Ministry of Water Resources, River Development and Ganga Rejuvenation Shri U.P. Singh said that there is an urgent need for paradigm shift in water resources management as it would help in maintaining the Aviralta of River Ganga. He expressed deep concern on the depleting levels of aquifers stopping the water flow back to the river. He stressed on the need to talk about issues of groundwater recharge, maintaining floodplains, rain water harvesting and restoration of water bodies. During the inaugural session titled “Global Cooperation for a Global Issue” of the three-day summit, Hon. Water Minister of Ghana Ms. Cecilia Abena Dapaah, Ambassador of Israel, H.E Maya Kadosh, Ambassador of Slovenia H.E. Jozef Drofenik, Deputy Chief of Mission, Germany H.E. Jasper Wieck, World Bank Director Mr Steven N Schonberger addressed the gathering.